INDEPENDENT LIFE SKILLS TRAINING– 14 years ago a number of our long-time camper families requested that Camp Northwood expand its programming in order to create a bridge program that would provide transitional preparation for young adults approaching the end of their secondary school experience. There is, perhaps, no time in the life of a neurotypical young adult fraught with more anxiety. For the families of young adults with developmental delays, this transitional time can bring an overwhelming sense uncertainty and despair. The reality of the future is front and center and unless proactive steps are taken to develop the highest attainable level of independence, these students can drift for years awaiting placements and programs that may or may not meet their individual needs. The NWC’s program involves on-site instruction, field trips out into the community to establish relevance and then application on a day to day basis as needed in order to help our students refine and internalize their life skills. The skills required to function independently away from home go far beyond the aforementioned isolated tasks that many students can develop functionality in a relatively short period of time. The true test of independence is whether students can successfully apply these skills in a social community in which they are required to interact with others on a regular basis. Social anxiety is a paralyzing condition that often is the greatest indicator of future independence. Unless this anxiety is addressed and reduced, it can have a significant impact on a student’s future life. The socially therapeutic environment of the NWC creates opportunities for students to refine their abilities to function successfully within a social environment. 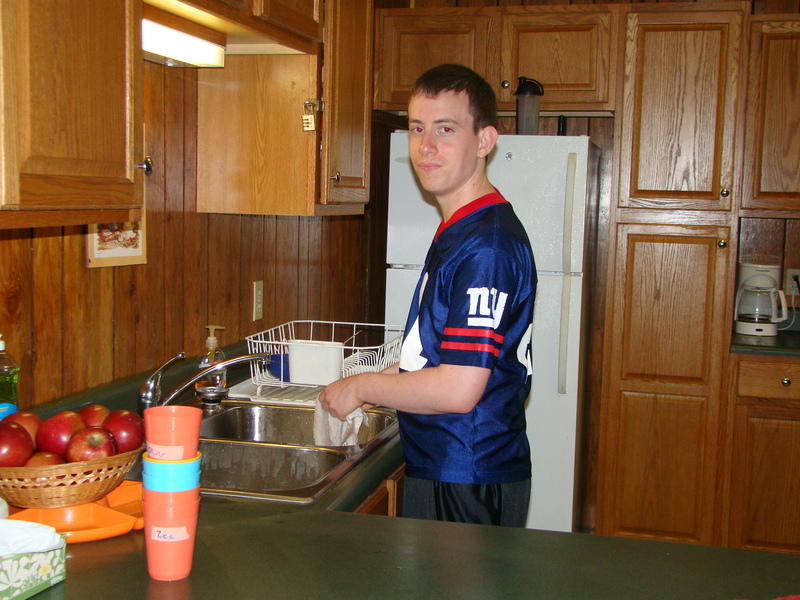 Camp Northwood’s formalized social skills training program is integrated into the NWC’s curriculum and the NWC students take part in the social/ recreational opportunities available to the entire Northwood community. Northwood’s supportive setting involves what we call a constant “Social Dialogue”. Students receive continual feedback from our staff; helping to identify successful social strategies as well as redirect and explore alternative social decisions when necessary. It is in this social environment that students can explore and refine their social skills and at the same time reduce levels of social anxiety. Our staff understands that every skill we teach needs to be framed in a social context- since without a strong social foundation, a student’s full potential cannot be achieved. Too young to leave home, but facing the eventuality of doing so. Our students need time to prepare for this “Next Step” and we have found that many post-secondary programs prefer applicants that have successfully begun to make the transition by attending The Northwood Center. For more information pertaining to our programming, please visit our website: http://www.nwood.com or call the Northwood office at 315-831-3621. We are currently interviewing applicants for the summer of 2015. I need information how to apy. Are there any scholarships? Dates? Anything closer to California or in California? Thank you for your interest in Northwood programming. Our application process involves a preliminary phone call to exchange basic information about Northwood as well as the perspective camper/student. From their, I either conduct an interview in person (NYC or Central New York) or via Skype so that I can get a sense of our ability to meet the needs and goals of the perspective camper. Our dates for the summer of 2015 are: July 5th – August 22nd and we do have some scholarship money available. Unfortunately, I am not aware of any similar programs on the west coast. We actually draw campers/students from the across the country and around the world. Would love to apply for this program for my 19 year old son with Asperger’s. Let me know how to go about it! Thanks. The best method to begin the application process would be to call our office 315-831-3621 and speak to Gordie, our Director. After an initial phone conversation and exchange of information to determine Northwood’s ability to meet your son’s needs, either a Skype call or interview is required to further determine Northwood’s appropriateness as a summer program option. At that time we can provide you with references and answer any and all questions about our programming, staffing, facilities and goals/objectives. My daughter would truely benefit from this. Please feel free to call our office at 315 831-3621 for more information!